WOULD MAKE A CLASSY PIECE OF JEWELLERY. 8.08X5.7X4.91MM.VS. Video will open in a new window. 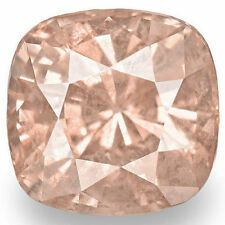 Genuine natural Padparadacha sapphire pear 5x4mm gemstone mined in Madagascar. Heat treated only. 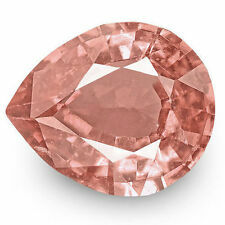 Product Specifics: on sale is wonderful pinkish Orange padpradascha natural sapphire loose gemstone, beautifully pear cut it shows very slight signs of visible inclusions. Natural Cut Gems. 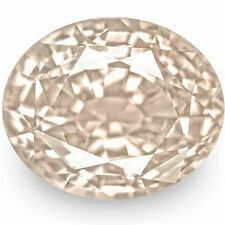 total Weight of this stone is 2.11 ct.
Color : Padparadscha. Gems Type : Natural Sapphire. Shape : Oval. Number of Gems : 1 pcs. Featuring Padparadscha sapphire colour x 3 = 2 x round cut pear . 7 Sparkling Natural Sapphire Gemstones. For purpose of scale only - the centre Pear gem is approx 4x3mm 0.15. 1.35 cts Natural Unheated Padparadscha Sapphire Vivid Sapphire. Gem Type: Natural Padparadscha Sapphire. Clarity VVS1. SilkyGems Clarity Scale. OUR LAB PARTNERS. Lower qualities. Included gems with internal features that range from eye visible to very easily seen to the naked eye. Size : 5x4mm (4x5mm). Note that price of Padparadscha sapphire is higher than orange sapphire because of rarity of the pink-orange color. But in our opinion orange sapphires are equally beautiful and not much different, unless both padparadscha and orange sapphires are placed side by side. Deep Pinkish Orange Padparadscha Sapphire. Both Listed Padparadscha Sapphires Set. 8 Carat Unheated Flawless Clarity. Or Together One Oustanding Couture Sets. So those interested the prices are negotiable. Main Material:Sapphire. We will try our best to reduce the risk of the custom duties. The real color of the item may be slightly different from the pictures shown on website caused by many factors such as brightness of your monitor and light brightness. ITEM CODE 00515. UnheatedCeylon Padparadscha Sapphire 1.10 Ct. GEMSTONE VARIETY Natural Corundum (Padparadscha Sapphire). SHAPE OR CUT Oval / MIX. COLOUR Orangish PINK. CLARITY VS1 ( Eye Clean). We are responsible for the monetary value of the item only. Unheated Natural Padparadscha Sapphire/Diamonds Encrusted Three Stones 18K White/Rose Two Tone Ring. Center Padparadscha Sapphire Specs. Gem Type: 100% Natural Sapphire. Side Diamond Specs. Color: Orangish Pink. Color : Padparadscha. Gems Type : Natural Sapphire. Shape : Oval. This is a natural Padparascha Sapphire weighing 1.04 carats. It is a square cushion with a lovely “Padparascha” color; which is a delicate balance between pink and orange. This rare precious gem would make a beautiful piece of jewelry. Padparadscha Sapphire. Color:Bright Orangy Pink. Gemstone:Natural Padparadscha Sapphire. Paraiba Tourmaline. Star Sapphire. Faceted Sapphire. Cabochon Sapphire. Trapiche Sapphire. Padparadscha Sapphire. Color:Light Orangy Pink. Gemstone:Natural Padparadscha Sapphire. Paraiba Tourmaline. Star Sapphire. Faceted Sapphire. Cabochon Sapphire. Trapiche Sapphire. 2.15 cts Natural Unheated Padparadscha Sapphire. 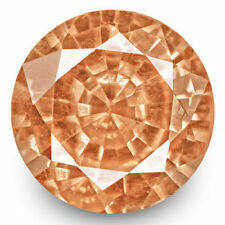 Gem Type: Natural Padparadscha Sapphire. Color Pinkish Orange. SilkyGems Clarity Scale. Very Good Quality. OUR LAB PARTNERS. Lower qualities. Included gems with internal features that range from eye visible to very easily seen to the naked eye. Pinkish Orange [GRS Sunset]. 100% Natural Unheated. We use a 10x microscopic photography system. The actual gem portrayed is far smaller than the images. Many inclusions shown are not visible to the naked eye. Padparadscha Sapphire. Gemstone:Natural Padparadscha Sapphire. Paraiba Tourmaline. Star Sapphire. Faceted Sapphire. Cabochon Sapphire. Trapiche Sapphire. Faceted Ruby. We are dealing with all type of precious, semiprecious Gem stones. Trust we will give prompt response and will not have you dis-satisfied. STAR GEMS HUB. ITEM CODE 00625. UnheatedCeylon Padparadscha Sapphire 2.02 Ct. GEMSTONE VARIETY Natural Corundum (Padparadscha Sapphire). COLOUR Orangish Reddish PINK ( 50/50 or Setting Sun Colour). SHAPE OR CUT Oval / MIX. Padparadscha Sapphire. Color:Intense Orangy Pink. Gemstone:Natural Padparadscha Sapphire. Paraiba Tourmaline. Star Sapphire. Faceted Sapphire. Cabochon Sapphire. Trapiche Sapphire.